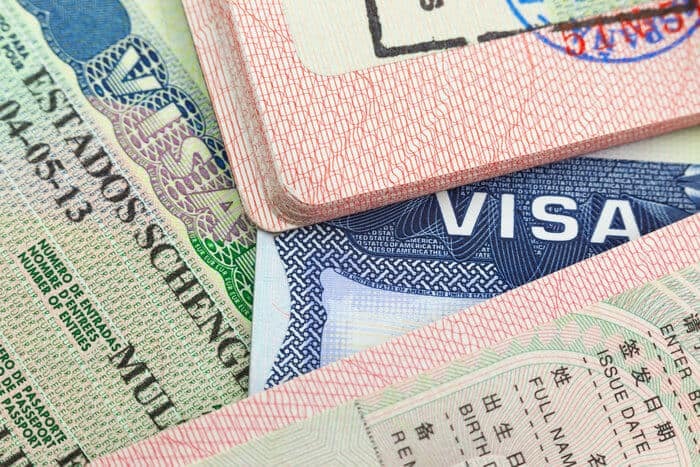 In my line of work, I frequently encounter certain questions about visas, passports, offshore banks, and everything in between. Every month, I get all sorts of questions about everything from second passports to offshore banking. Between this blog, my YouTube channel, and Quora, I’ve noticed a few questions from my followers that seem to arise frequently, so I’ve decided to address some of them that come up most often. As you read through these FAQs, however, keep in mind that these questions and answers are meant to be general. Many of the questions below focus more on basic knowledge about what I do at Nomad Capitalist than specific details of particular tax strategies or second passports. 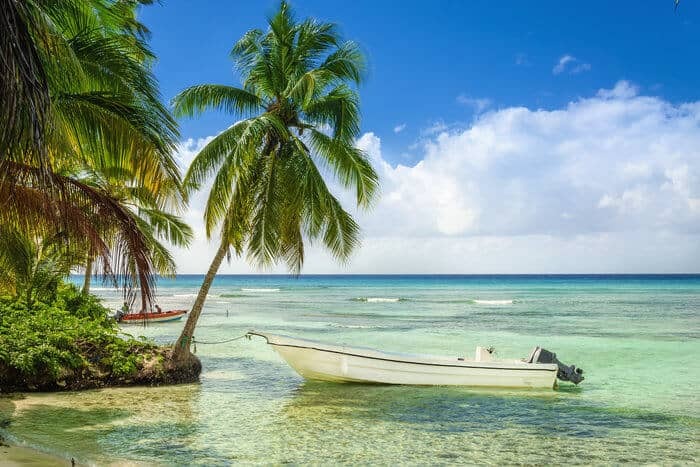 However, if you’re interested in going offshore, legally reducing your taxes, and living a freer lifestyle, then this can be a good place to start. At its most basic, an investor visa is a residence permit that can be obtained by making an investment in a country. While this seems rather simple, I’d like to clear up a few misconceptions that I commonly hear about investor visas. First, only certain types of investments will qualify you for an investor visa. Many people seem to believe that any investment in a country will put you on track for an investor visa. However, investor visas are usually only issued to people who invest in real estate or government bonds. While entrepreneur visas do exist if you’d rather create or invest in a local company, they’re usually different from traditional investor visas. Second, investor visas are also distinct from citizenship by investment programs. Citizenship by investment and investor visas are often lumped together because they operate on a similar principle – you make a certain type of investment in a country, and in return, you get access to that country. However, an investor visa is a foreign residence permit whereas citizenship by investment gives you a passport and unlimited access to the country. To see the difference, let’s take a look at Portugal’s Golden Visa Program. In Portugal, you can obtain an investor visa, or residence permit, through the Golden Visa Program. To get Portuguese citizenship, however, you need to meet an entirely different set of requirements. In Portugal, you can get a Golden Visa by making investments in real estate or creating jobs in Portugal. Finally, to maintain your investor visa, you’ll need to meet other residency requirements, and these requirements can vary tremendously among different countries. Under Portugal’s Golden Visa Program, for example, you only need to spend two weeks in the country per year to renew your visa. On the other hand, to maintain an EB-5 investor visa in the United States, you need to spend the majority of your time in the US and pay US taxes. Therefore, if you’re interested in getting an investor visa from a particular country, you should be aware of that country’s residency requirements and how they could impact your finances and your lifestyle. What is the Difference Between a Visa and a Passport? Both visas and passports are official documents used to facilitate travel to and from a particular country. However, visas are generally used by foreigners who wish to enter that country, whereas passports are used by citizens of that country to travel abroad. A visa is, essentially, official permission for a foreigner to enter a country for a specific purpose and period of time. The most common type of visa is a tourist visa, which allows you to enter a country for leisure purposes. In some countries, you may have to apply for a tourist visa, but depending on your country of citizenship, certain countries may issue you a visa at the border. However, you can also apply for other visas, such as business visas, student visas, or temporary work visas. A passport, on the other hand, is an official travel document that is issued to you by your country of citizenship. Your passport allows you to freely exit and re-enter your home country, and it also serves as your official ID while you travel abroad. To more clearly explain how this works, let’s use an example. Suppose that you’re a US citizen traveling to Mexico. When you arrive in Mexico, you will present your US passport to Mexican officials, who will then stamp your passport to issue you a visa to enter Mexico. Then, when you return to the US, you will use your US passport to re-enter. To remember the difference between a visa and a passport, simply keep in mind that governments issue passports to citizens and visas to non-citizens. What Countries Can I Travel to Without a Passport? Contrary to popular belief, there are ways to travel abroad without a passport. However, if and where you can travel depends on your country of citizenship. US citizens, for example, can get a “passport card” that allows them to travel to Mexico and Canada without a full-fledged passport. I personally don’t see much utility in it, but it’s an option that’s available for US citizens. The Schengen Area in the European Union also allows people to travel between countries without a passport. Because it’s a unified customs zone, anyone who has entered a Schengen country, such as Germany or Italy, can technically travel freely throughout the Schengen Area without using a passport. While this certainly allows EU citizens and residents to travel passport-free in the Schengen Area, it also applies to non-residents to a certain extent. However, although non-residents can technically travel throughout the Schengen Area sans passport, they’ll need one to enter in the first place. Non-residents also may need a passport as a form of acceptable ID. Although your non-EU driver’s license might suffice if you’re buying a bottle of wine, you’ll likely need it to exchange money or board a plane. Therefore, although a lost passport might not ruin your trip to Europe, it’s probably a good idea to have one if you’re not an EU resident. Similarly, Mercosur is a South American customs and free trade organization that allows freedom of movement among member countries, such as Brazil, Argentina, and Paraguay. A number of individual countries also have agreements with neighboring countries that allow citizens to travel back and forth without a passport. Turkey, for example, has agreements with a handful of countries that allow citizens to enter with only a national ID. Although you can technically travel without a passport in some parts of the world, I recommend taking your passport with you if you plan on leaving your home country. While I don’t advise traveling without a passport, there are ways that you can do it in certain cases. However, as a general rule, you should assume that you will need a passport if you leave the country. Can I Go to Mexico Without a Passport? Unless you’re a Mexican citizen or permanent resident, then no – you cannot enter Mexico without a passport. If you’re a Mexican citizen, then you are technically allowed to re-enter Mexico without your passport. 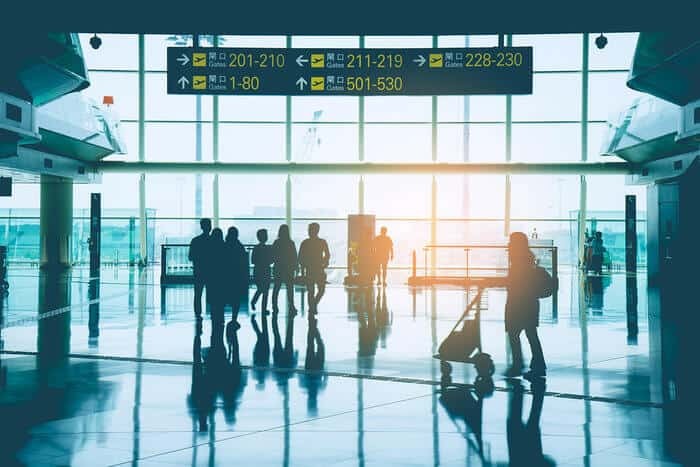 Certain airlines may not be willing to fly you there without a passport, and if you make it to customs, you’ll likely spend a few hours proving your identity and citizenship to immigration officials before they let you through. However, as a Mexican citizen, you have a right to re-enter the country, so you can return to Mexico without a passport. Proof of Mexican permanent residence may also be sufficient to pass through customs in some cases. Additionally, as a US citizen, you can technically enter Mexico on a passport card instead of a regular passport, but frankly, a US passport card and a US passport are functionally the same. Even if you’re a Mexican citizen, then, you’ll probably want to have your passport with you when you travel to Mexico. What Is an E-visa, and How Do I Get One? In most cases, an e-visa is similar to a standard visa, but you can get it through a simplified online process. Like a regular visa, an e-visa gives you permission to enter a country in advance. However, the e-visa process is typically easier than the process for obtaining a traditional visa – which can be a cumbersome process. To get a standard visa, you have to travel to your nearest consulate or embassy, prepare all of your paperwork in advance, and usually leave your passport there while they review your application. To get an e-visa, on the other hand, you can sign onto a country’s e-visa platform, fill out paperwork, upload documents, pay a fee, and apply. E-visas are thus typically easier and more accessible for most people than standard visas – but that doesn’t mean that they’re completely hassle-free. Some countries, like Cambodia, have a highly efficient e-visa process. To get a Cambodian e-visa, you simply need to upload a passport photo, fill out a quick online form, and pay a fee (around $40). The application process should take no more than 15 minutes, and you’ll have approval almost instantly. India, on the other hand, is notorious for its inefficient e-visa process. The Indian e-visa website is confusing, and once you finally find the right form, it can take hours to mull through all of the questions and uploads. And, if you lose connection or hit a wrong button, you’ll likely have to start the process all over again. Therefore, while an e-visa may save you a trip to your local embassy, it doesn’t necessarily mean that getting one will be quick and easy. Although e-visas allow you to fill out your application from the comfort of your home, they can still be cumbersome and tedious at times. You should also keep in mind that e-visas are different from online pre-approval applications, such as ESTA in the US. Although these pre-approval applications do have an online component, they typically also require a substantial amount of paperwork, so they’re not true e-visa programs. If you want more information about countries that do offer e-visa programs, click here. Do US Green Card Holders Pay Taxes? If you’re a US green card holder, then yes – you do need to pay US taxes. Unfortunately, the notion that US green card holders don’t need to pay taxes is one of the more common misconceptions that I hear among people trying to move to the US. They believe that because they’re not US citizens or because they entered on an EB-5 investor visa, they’re exempt from paying their dues to the IRS. But, alas, that’s not the case. Because green card holders are permanent residents of the United States, the IRS considers them to be US persons for tax reasons, which means that they must pay tax on all of their worldwide income. Additionally, to maintain your green card, you’ll need to spend the majority of your time in the United States during any given year. So, while the IRS automatically considers you a taxable person by virtue of being a permanent resident, you’ll also fall into the US tax net through the Substantial Presence Test. You can read more about that here, but to summarize, if you spend more than 120 days in the US per year, you’ll likely need to pay your dues to the IRS. Therefore, if you’re a US green card holder, you’ll need to contend with the IRS every year – no exceptions. Can US Citizens Have Dual Citizenship? The short answer is yes – the US government does allow its citizens to have citizenship in other countries. In fact, you can have as many passports as you want as a US citizen. However, you may find that certain institutions treat you differently if you have a second passport. For example, when I applied for Global Entry in 2011, I had to disclose my other nationalities. While that didn’t prevent me from getting it, my application took a bit longer than average to process. Some creditors may also be reluctant to grant loans to persons with dual nationality, depending on the circumstances and your credit rating. Another instance where your dual citizenship might hinder you is if you need a government security clearance. Even for a low-level clearance, you may be rejected since your second nationality could be a conflict of interest. Senator Ted Cruz, for example, discovered that he was a Canadian citizen in 2016, so he had to renounce that citizenship to continue his career. Therefore, while no one is stopping you from getting a second passport as a US citizen, you might be treated differently in some circumstances based on your dual nationality. Additionally, you will be treated as a US citizen while you are in the US. You must use your US passport at all US border checkpoints, and you will not have access to consular services from your other countries of citizenship while in the US. 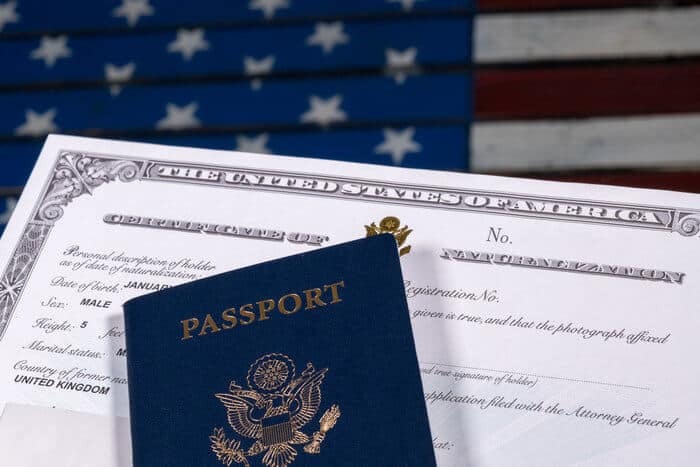 Although the US doesn’t restrict its citizens from getting dual citizenship, you should keep those issues in mind when you decide to get a second passport. How Many Passports Can You Have? Recently, I made a video about helping my fiancee get Armenian citizenship, and in the comments, a viewer remarked that my kids would probably have five passports at birth. That’s true, I guess – if we’re lazy. Suppose we decided to try to get our child as many passports as possible before they turned 18. With the passports that we currently have, our child will already inherit four or five citizenships. Then, we could give birth in a country like Brazil, which would give them birthright citizenship. After that, my fiancee and I could become naturalized citizens in somewhere like Canada or New Zealand, or we could get citizenship by investment in Bulgaria, which you can even pass on to adult children. Frankly, if we worked hard enough, we could help our child get 10 different passports by the time they turned 18. If you’re willing to put in the legwork, you can generally have as many passports as you want. For the most part, there’s no limit on how many passports you can have. Most countries are fairly liberal with their dual citizenship policies – though you may confuse a few bureaucrats if you tell them that you have more than two. However, there are a handful of countries that do restrict their citizens’ ability to get dual citizenship. Singapore, for example, forbids its citizens from getting second passports along with Japan, the Netherlands, and India. For a complete list of countries that ban dual citizenship, click here. If your country does permit dual citizenship, though, you’re free to build your passport portfolio. Unless you’re a citizen of a country that doesn’t allow you to have other nationalities, then you can usually have triple citizenship. As I mentioned earlier, most countries are fairly liberal when it comes to dual citizenship, but if you plan to run for office or get a government security clearance, then you may need to renounce your other nationalities. What are the Benefits of Getting Dual Citizenship? How Do I Become a Permanent Resident of a Country? How you become a permanent resident of a country depends on that country’s immigration policies. In some countries, becoming a permanent resident is rather easy. Paraguay, for example, will allow you to become a permanent resident with a $5,200 bank deposit, and you don’t need to spend much time there to maintain your permanent resident status. Other countries, like the US, make getting and maintaining permanent residency a bit more difficult. Getting a US green card is notoriously hard. Even persons with exceptional talent and high-value investors need to contend with quite a bit of bureaucracy to get their green cards. Then, to maintain a US green card, you’ll need to spend the majority of your time in the US and file US taxes each year. Your path to getting permanent residence thus depends on the country and its policies. Investment: Many countries allow you to establish permanent residence by making an investment in the country. While you may not be able to get permanent residency immediately, any kind of residence by investment will usually put you on the path toward permanent residency. Entrepreneurship: Likewise, you can usually get on track for permanent residence by starting a business in a country. However, you may need to start a particular type of business to be eligible for permanent residence. Economic Stability: In some countries, you can be eligible for permanent residence if you meet certain income requirements. Work: If you have a job in another country, you can usually apply for permanent residence after living there for a few years. Marriage or Family: If you have a citizen spouse or immediate family member, you can usually get temporary residency quickly and be fast-tracked for permanent residence. While many countries will allow you to get permanent residence through these methods, keep in mind that each country’s exact requirements will vary. How Do I Get Citizenship in Another Country? Like permanent residency, how you can get citizenship in another country depends on that country’s policies and your personal circumstances. Some countries, such as Switzerland and Japan, make it incredibly hard for foreigners to get citizenship. Others, like Cyprus or Vanuatu, allow you to get a passport in less than a year if you make a large enough investment. Naturalization: To become a naturalized citizen, you must move to a country, become a permanent resident, and apply for citizenship once you’ve lived there long enough. However, some countries will allow you to maintain permanent residence and apply for citizenship without living there full-time. Descent: Certain countries will allow you to apply for citizenship if you can prove ancestry in that country. Most countries require you to have a parent or grandparent who was a citizen, but some will allow you to trace your ancestry further. Investment: Some countries have programs that allow you to invest a certain amount of money in exchange for citizenship. The type and amount of investment required will vary among countries with citizenship by investment programs. As always, the best way for you to get a second passport will depend on your circumstances and where you want to get citizenship. If you would like more information on how to get a second passport, click here. What is the Best Passport in the World? If you look at most passport rankings, they usually determine the best passport in the world by looking at how much visa-free travel that passport offers. The Henley Passport Index, for example, rates Japan as the best passport in the world, whereas Arton Capital’s passport ranking puts the United Arab Emirates in the top slot. While these rankings use slightly different formulas to calculate a country’s score, they both rely on the same underlying metric – visa-free travel. Personally, I find this approach to be somewhat flawed for three reasons. First, not all visa-free access is equal. Visa-free travel to Bangladesh, for instance, isn’t as valuable as visa-free access to the US or China, but these rankings weight them equally. Second, there’s more to a passport than visa-free travel. 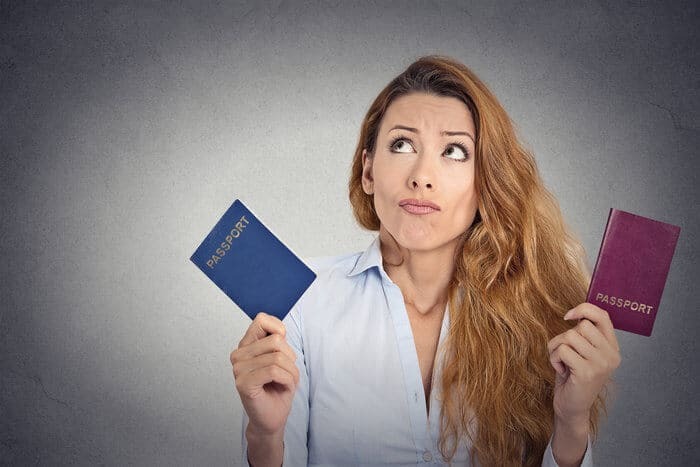 Passports come with citizenship, and citizenship comes with more than just travel privileges – you have to consider issues that come along with it. In the Nomad Passport Index, we not only account for visa-free travel, but we also consider issues such as reputation, taxation, personal freedom, and dual citizenship. Under this formula, Luxembourg ranks first. This brings me to my final point – the “best passport in the world” is entirely subjective. When I gave up my US citizenship, for example, my friends in places like Georgia and Armenia were shocked. They couldn’t believe that I had given up a passport that – to them – was incredibly valuable. You see, I had always thought of my US citizenship as a bit of an albatross. Although it came with plenty of benefits, it also meant that I was stuck in the US tax system forever with a government that didn’t seem to care about my privacy. Some of my non-American friends, on the other hand, see a US passport as their golden ticket because it would allow them to live and work freely in the US. What the best passport in the world thus depends on how you measure it and what you value most. If you value personal freedom and low taxes, then your ideal passport might be different from someone who values an extensive social safety net and visa-free travel. The cost of getting citizenship varies by country, and it also depends on how you go about obtaining citizenship. In most countries, getting citizenship by naturalization isn’t very expensive. If you’re a US green card holder applying for naturalization, you will pay a $725 application fee along with any additional legal fees. While that isn’t exactly pocket change, it’s rather affordable – especially considering that the US is one of the more expensive places in the world to naturalize. Although becoming a US citizen can be difficult, the cost of naturalization isn’t very steep. Many Latin American countries, such as Paraguay and Guatemala, are substantially cheaper to naturalize in. If you’ve maintained residency there for a few years, then you can easily apply for citizenship and pay only a nominal administrative fee. Similarly, obtaining citizenship by descent is also quite inexpensive. When I helped my fiancee use her ancestry to apply for Armenian citizenship, we only had to pay a $50 application fee. Getting citizenship by descent in Ireland is slightly more costly, but with a price tag of just $315, it’s fairly attainable by most people. Obtaining citizenship through naturalization or descent is thus fairly cheap, but you need to account for other costs, such as time commitments, establishing residency, and gathering paperwork. Citizenship by investment, on the other hand, is substantially more expensive. Although you can get citizenship rather quickly this way, you’ll need to be prepared to invest a substantial amount of money. In fact, the cheapest citizenship by investment programs generally cost around $100,000. However, if you’re strategic about it, you can get citizenship by investment essentially for free. 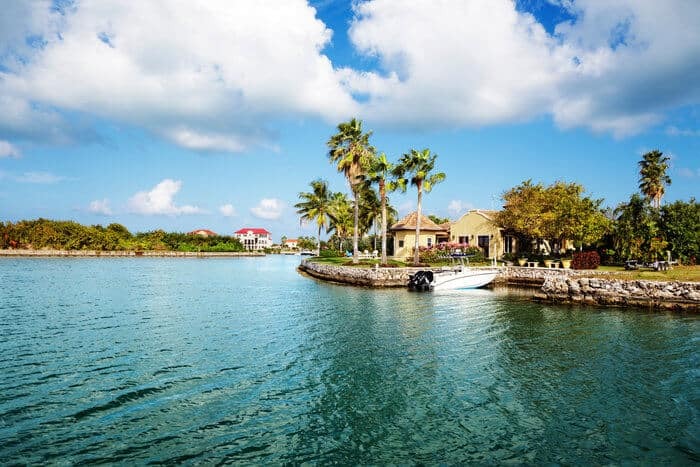 In some countries, you can obtain citizenship by making investments in real estate or in certain industries, and if you do so strategically, your investment returns can make up for your legal and administrative fees. You can therefore functionally get paid to get a second passport, but you’ll need a substantial amount of capital up-front to do so. Is it True That There are Passports for Sale? To be honest, I’m not a fan of the phrase “passports for sale” since it misses a key distinction between passports and citizenship. 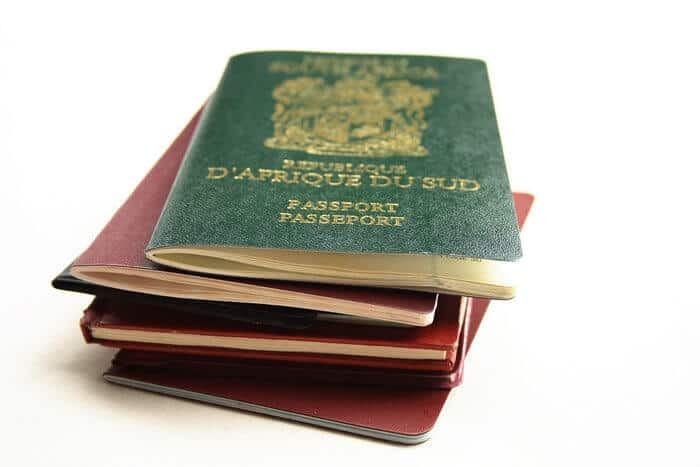 Although some countries issue passport-style travel documents to non-citizens, passports are travel documents issued only to a country’s citizens. You can’t obtain and travel on a US passport unless you’re a US citizen. While that’s a rather crass way to put it, there are now nearly a dozen countries that offer rather straightforward citizenship by investment programs. These programs quickly and easily grant citizenship to investors who either make a donation to the country or invest in real estate. 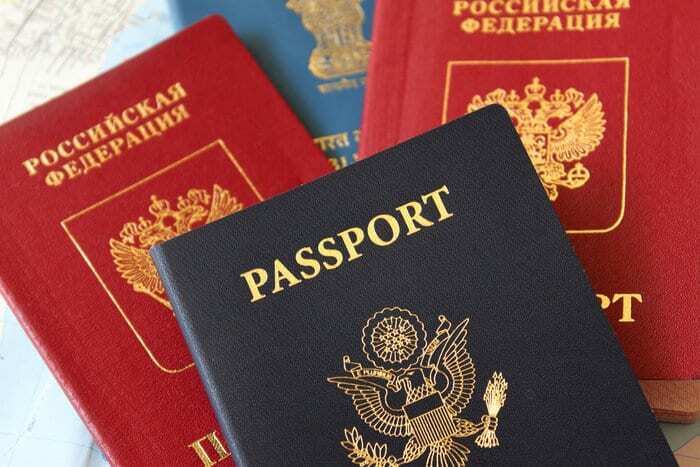 These programs are the most likely to be labeled as “passport for sale” programs. There are also countries that will naturalize select people who make substantial investments in a country. Peter Thiel, for instance, was able to get New Zealand citizenship by investing in millions of dollars of real estate. I wouldn’t necessarily call this “passports for sale,” however, because you usually need to meet other conditions. Lastly, there are residency by investment programs that allow you to get an investor visa that allows you to become a naturalized citizen after a set period of time. However, these programs are often mistaken for citizenship by investment programs. One myth that I often encounter is this idea that US passports are for sale. Because you can “buy” residency in the US through an EB-5 investment visa, people mistakenly believe that means you can “buy” a US passport. Therefore, while the EB-5 visa technically allows you to purchase a green card, you still need to go through the process of naturalization to become a US citizen. The same goes for many of the Golden Visa programs in the EU. Portugal, for example, allows you to buy a residence permit, but to become a citizen, you still need to live there for five years and speak fluent Portuguese. On the other hand, Greece and Malta do allow you to buy a passport through their citizenship by investment programs. Buying a Passport: Make a Donation or Buy Real Estate? Bulgaria does not offer anymore their CBI program.